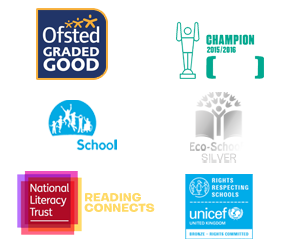 This document is designed to illustrate the way in which the school promotes British values through its SMSC provision. The school uses the ‘Cornerstones’ curriculum as the basis of its classroom provision. An audit of the current curriculum for each year group is shown in the matrix overleaf where provision that combines the two strands below. These are taken from DfE guidance (November 2014) which states those values which must be promoted by maintained schools. The content highlights key aspects of the school’s work around these themes. Daily collective worship: this focuses on the school’s core values of commitment; community; choice; creativity; compassion and contemplation. These values also underpin the school’s RE curriculum. Peer Mediators: the school has a group of pupils (‘The Sunshine Crew’) who are trained in solving problems through low-level peer mediation strategies, these include respect and tolerance of others. School Council: this is a thriving part of the school community and is engaged in decision-making with members of staff across many aspects of school life. All children have the opportunity to participate in the election of candidates and see democracy in practice. Themed weeks such as ‘Friendship’ week. The concept of friendship across age groups is enhanced further through the use of the ‘Partners’ approach. Visiting speakers in school who are able to offer new perspectives on the school’s values. We are currently building links with a range of faiths at present to enhance this area of our provision. A positive behaviour policy which has rules and the importance of these at the centre. This also includes a House system which encourages collaboration and teamwork within the school.